East-Central Utah. Grand County. Closet City or Town: Moab. Area: 76,358.98 acres; 119 square miles (308 km²). 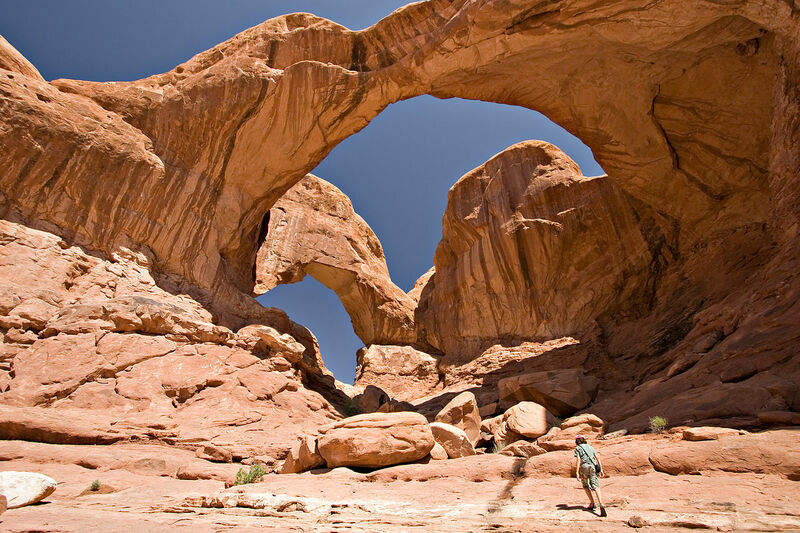 Arches NP’s landscape boasts meticulous geologic formations featuring a plethora of engaging arches. Most are ginormous. 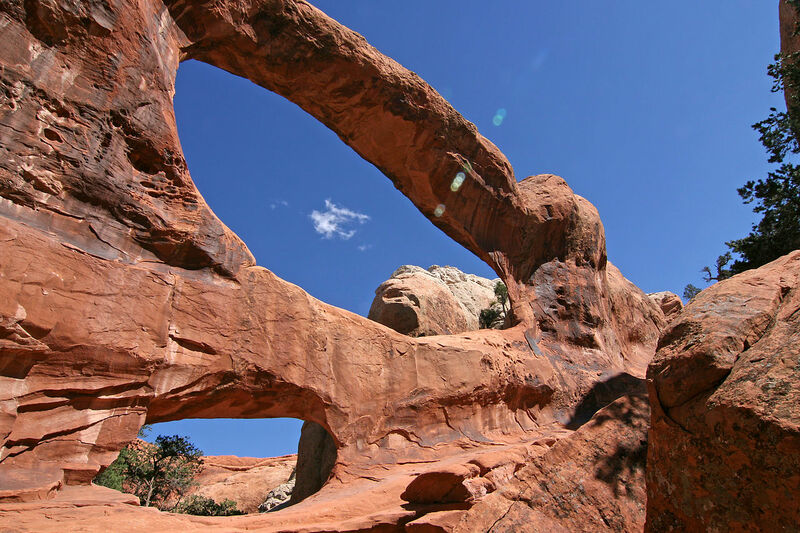 The blueprint of nature to create an arch requires critical development in the process: ideal materials (where sandstone works best), erosion (the wind and water), location of the arch, and timing in the millions of years. While the park’s numerous spires, balanced rocks, eroded monoliths and fins are impressive enough, the number of arches here is incredible. 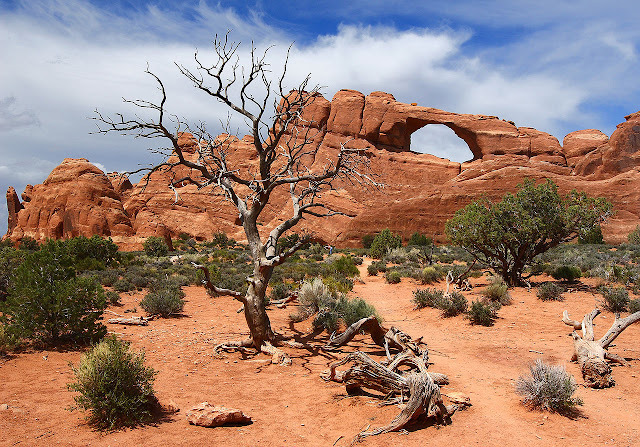 In fact, Arches NP namesake is ideal. It is indeed a veritable parkland of sandstone sculpture on a grand scale boasting over two thousand arches. 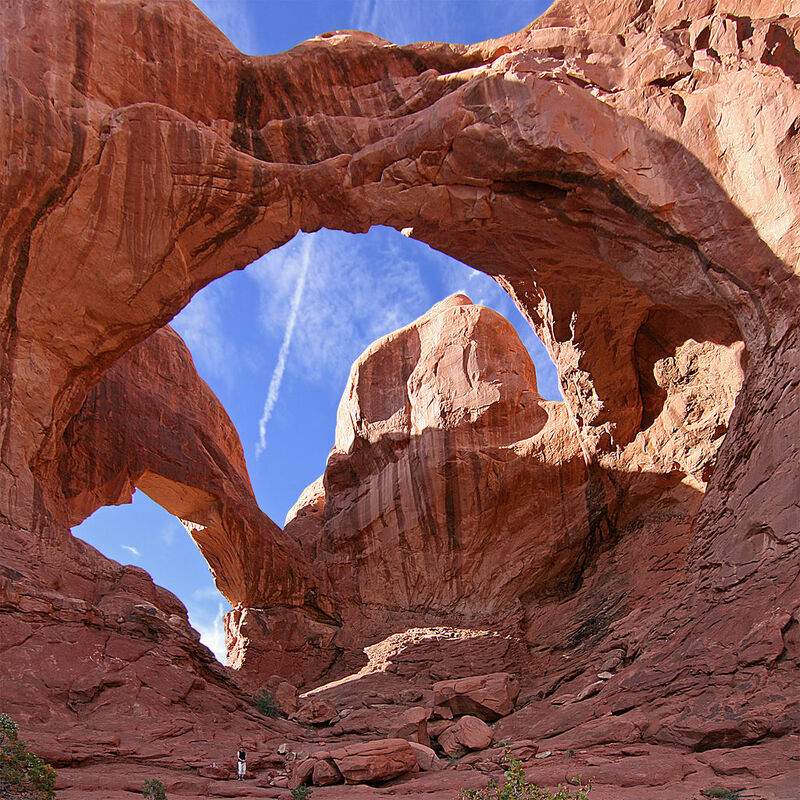 A prime example of an arch is one of the most famous on the planet, Landscape Arch. To gaze upward at this monstrosity of grace, with a 290-foot (89 m) span, is indeed one of those delightful ooo-ahhhh moments. Some arches are seen from the road while others show up along the pathway while others entail longer hikes (i.e., the trail to Delicate Arch). The park's highest elevation is 5,653 feet (1,723 m) at Elephant Butte while the lowest elevation is 4,085 feet (1,245 m) at the Visitor Center. Since 1970, an amazing forty-three arches have toppled because of erosion. Originally designated as a national monument in 1929, in 1970 the setting was later deemed a national park status. 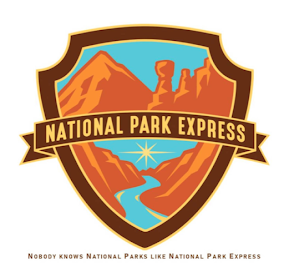 One other notable fact about the park is the acclaimed eco-warrior and author, Ed Abbey, once worked here as a seasonal ranger. Remarkably, none of the majestic landmarks would be here were it not for the basic mineral of salt. 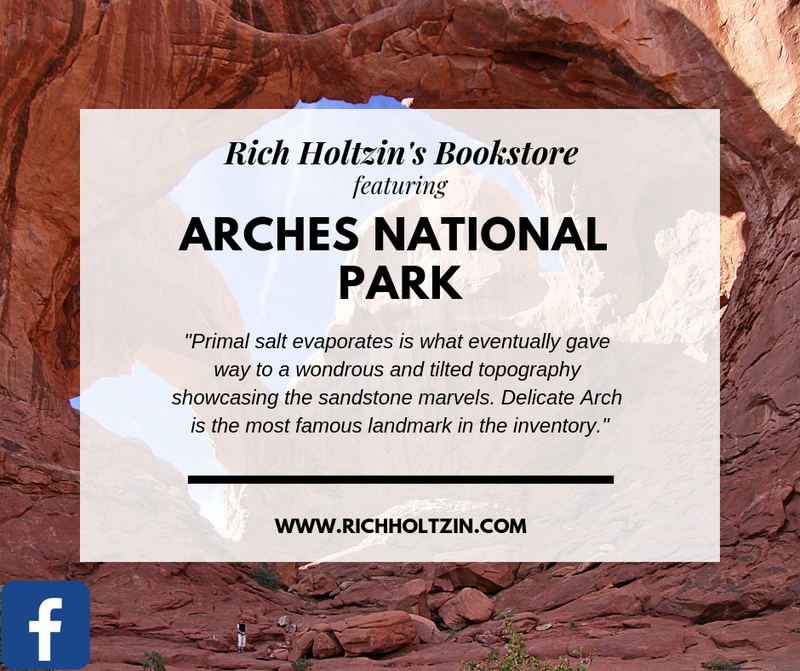 That’s right: ordinary salt has something important to do with Arches’ NP’s unparalleled sculpturing and its array of eye-catching arches. For instance, the physiographic environment in this region amounts to stratified layers of sandstone formations shaped into alternate corrugated ridges, in which the strata slopes downward, thereby creating what is classified as an “anticline.” In fact, there are several northwest-trending layered formations seen here, which explains the oblique angle of the park’s mesmerizing landscape. The net result given the above description has created spacious valleys from an eventual and major collapse of the landscape. The Salt Valley and Cache Valley anticlines in the park are prime examples. Both sectors are uniquely tilted, revealing irregular masses of rocks much younger than those seen on the valley's walls. This occurrence suggests these sectors were initially produced by a colossal collapse millions of years ago. 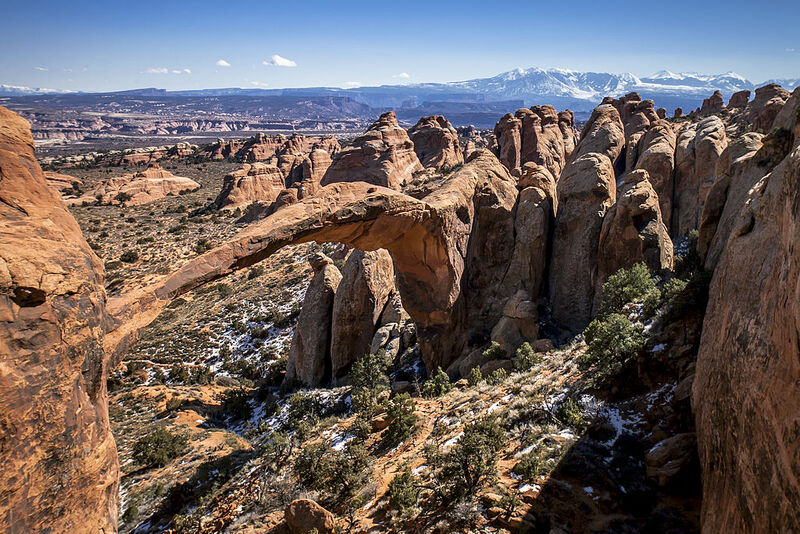 It’s quite amazing to think how ordinary salt was responsible for the enthralling view we see and admire in this sandstone sanctuary spread out below the towering backdrop of the majestic La Sal Mountains. Of course, there’s more to the blueprint of nature that makes the park what it is. 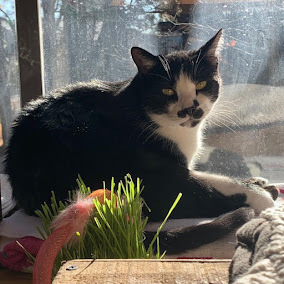 For instance, faulting, where entire sections of rock have subsided into pavement tracts between the salt domes, and in places are turned almost on edge. Faults also create some of nature’s most awesome offset land features. At the Visitor Center, which is a highly recommended stopover before entering the park, the Moab Fault is plainly visible. Its large displacement measures 2,500 feet (760 m)! To Moab, Utah, drive south of I-70 on Hwy. 191 for 26 miles (40.8 km). From Kayenta, Arizona, take Hwy. 163, then at Bluff take Hwy. 191 (134 miles/215 km). Arches NP is just north of Moab.